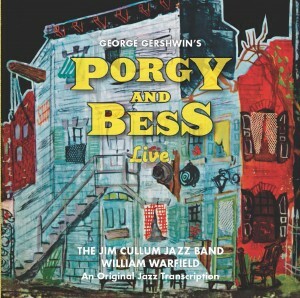 Riverwalk Jazz Show “Porgy and Bess Live” – Reelsound Recording Co. 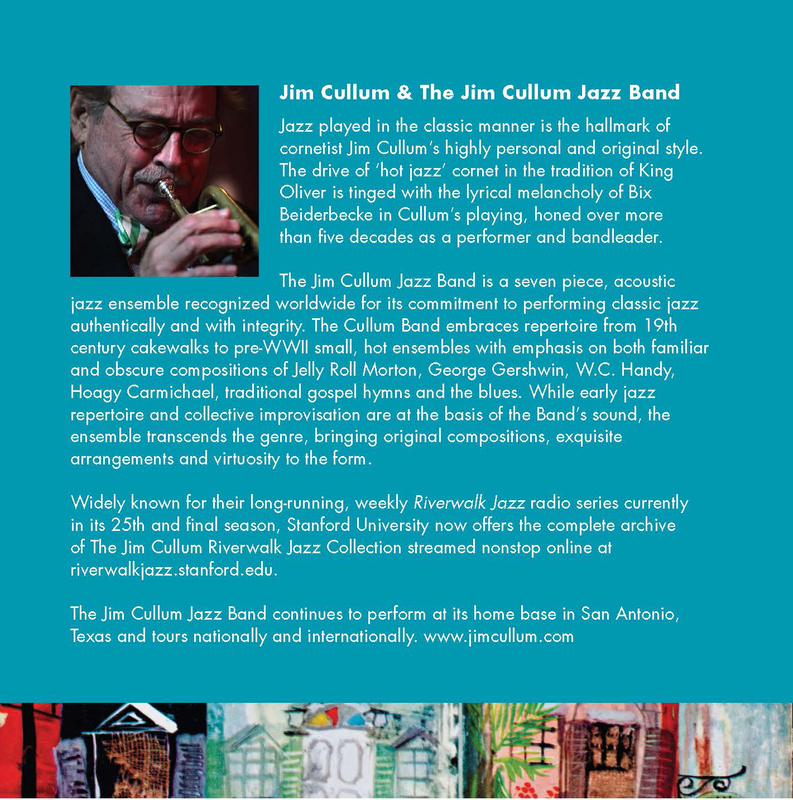 The CD is being released to celebrate the 25th and final season of the Riverwalk Jazz radio series, distributed nationally by PRI, Public Radio International and on Sirius XM Real Jazz Channel. 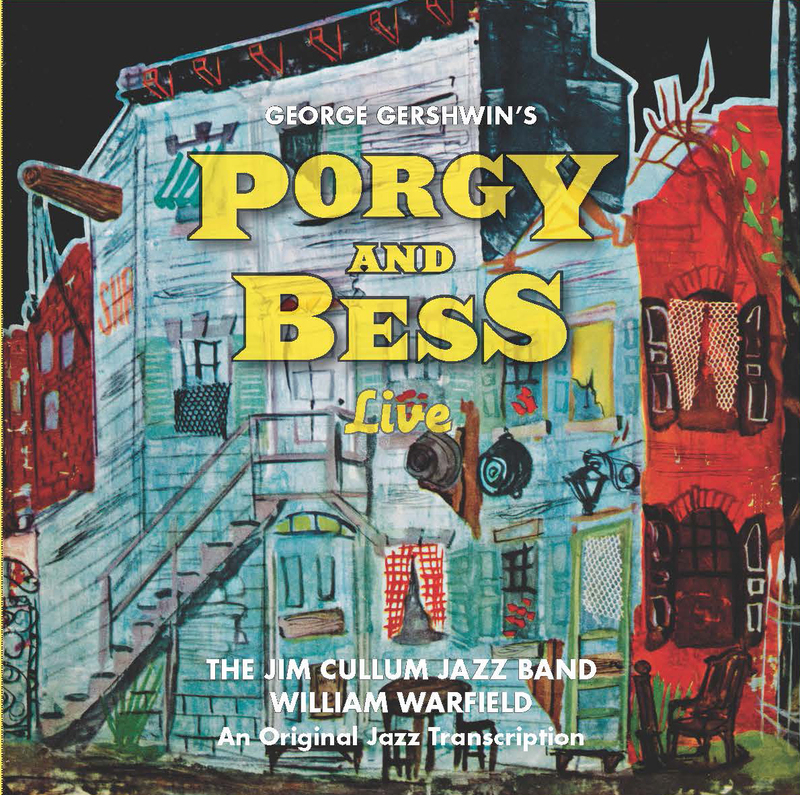 Content: The music closely adheres to the original score for the Gershwins’ Porgy and Bess, and virtually all the tunes in the original folk opera are included on the double album. 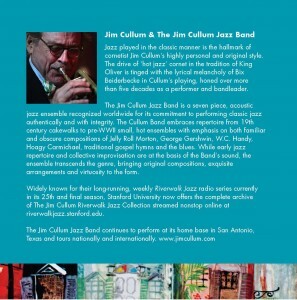 John Sheridan, pianist with The Jim Cullum Jazz Band, is the primary author of the jazz transcription and musical arrangements heard on the album. 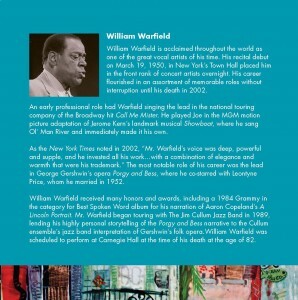 The storytelling by theater and film legend William Warfield is a highlight of the live production. 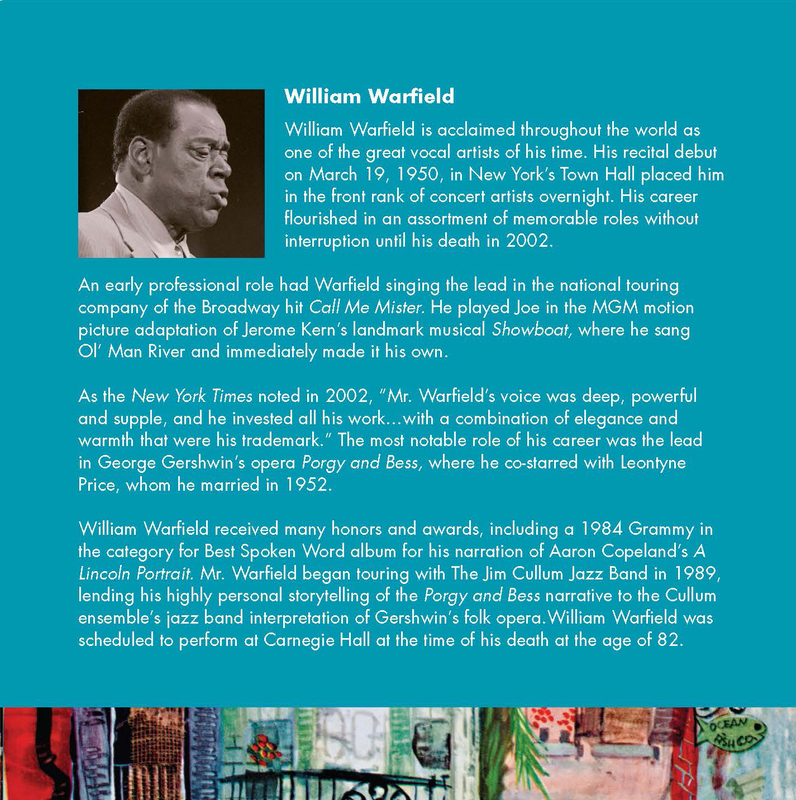 Warfield was an early originator of the role of Porgy, playing opposite Leontyne Price whom he later married; and he also appeared in the 1950’s MGM musical Showboat, singing Old Man River in his role as ‘Joe’. The CD tracks include a fascinating interview with him recorded backstage during the event at The Landing in San Antonio.